Set of three "4 inch" breast scalpels in a mahogany case. 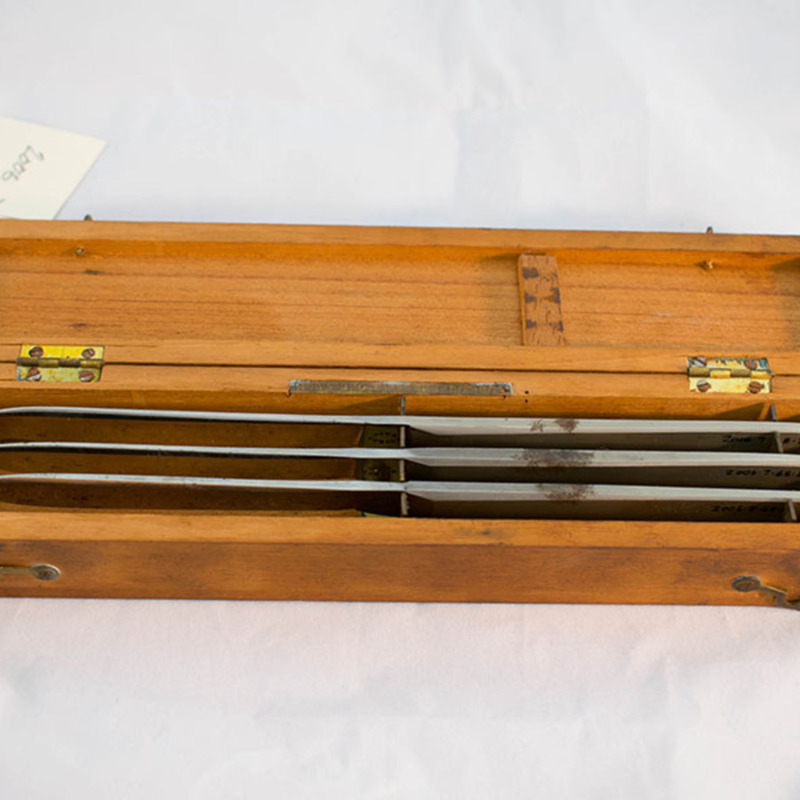 Case is fitted with a secured metal rack to retain the scalpels, and is hinged. Secured with two metal clips. A small (5.1cm x 0.3cm) brass strip, embossed with "DOWN BROs MAKERS LONDON" is inlaid into the surface of the lower portion of the case, midway between the hinges. The scalpels are identical, and forged from solid nickel steel. 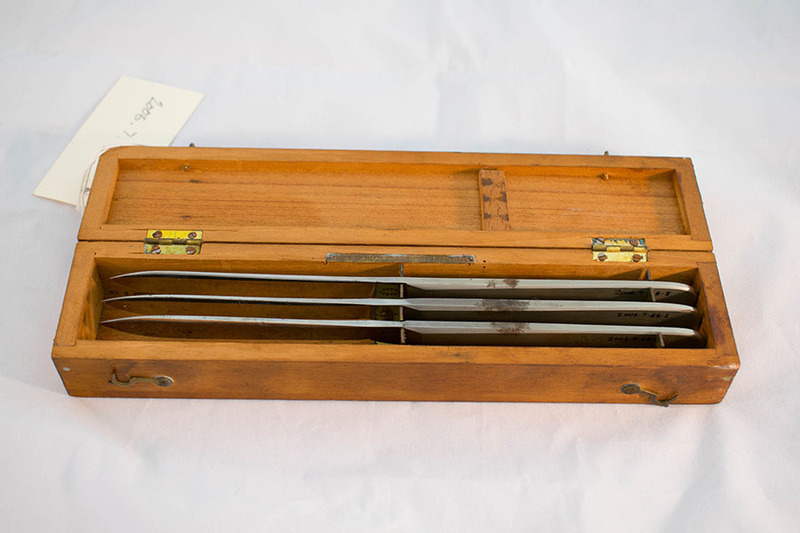 Down Bros Ltd.; 1874-1989; Health care manufacturer, “Wooden case of breast knives,” Heritage, accessed April 23, 2019, https://heritage.rcpsg.ac.uk/items/show/106. Description: Set of three "4 inch" breast scalpels in a mahogany case. Case is fitted with a secured metal rack to retain the scalpels, and is hinged. Secured with two metal clips. A small (5.1cm x 0.3cm) brass strip, embossed with "DOWN BROs MAKERS LONDON" is inlaid into the surface of the lower portion of the case, midway between the hinges. The scalpels are identical, and forged from solid nickel steel.